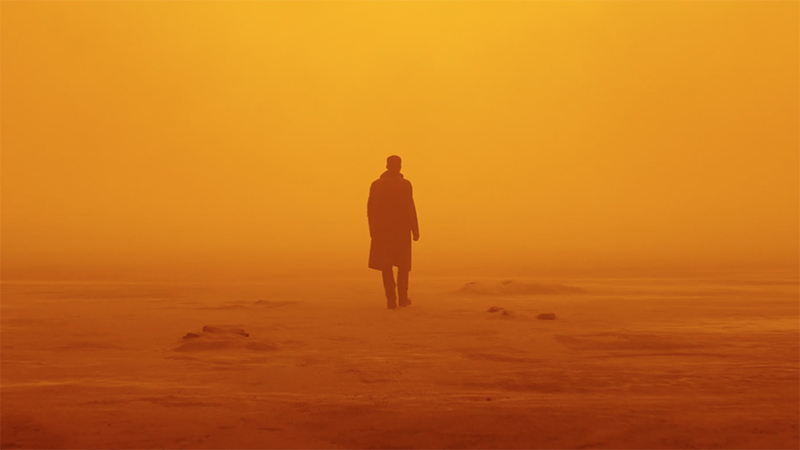 There’s a lot to unpack in this Blade Runner 2049 trailer, but I’m not going to touch it. We could go of all day about the various hints and nods and clues and red herrings and all the rest. People with more time will break this down frame by frame, but I have a day job and instead of approaching this intellectually, I just want to wallow in my visceral, gut-level reaction. I know this is just a promo for a movie, but it makes my heart beat a bit quicker and my breath come a touch faster. I love grizzled old Harrison Ford, and Gosling looks passable as the stoic future detective. I dig the world-weary Dave Bautista we see here, and Robin Wright cuts a badass swath. Once again, he world building appears on point. And sure, it looks like we have to sit through another insufferable Jared Leto performance, but in a weird, fucked up sci-fi future, maybe his overblown affects are just what it needs. I’ve said it before but it bears repeating: as long as Denis Villeneuve wants to splash around in the sci-fi end of the pool, I’m game. Especially after Arrival (and he’s taking on Dune next, so he’ll be here for a while). And it doesn’t hurt matters that he’s working with legendary cinematographer Roger Deakins. That’s a powerful combination, and there’s a very good reason why this movie looks so incredible. Blade Runner 2049 opens on October 6. Though if I had to guess, I suspect we’ll see it show up somewhere on the fall festival circuit before that.